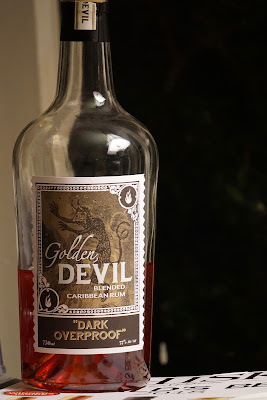 Golden Devil "Dark Overproof" Blended Caribbean Rum (57.0%): Second rum from Hunter Laing's Golden Devil label on this blog and this time it is a blend of Jamaican and Guyanese rums. The blend is created exclusively for K&L Wine Merchants and bottled at 57% abv. Color: Dark amber with a red hue, mahogany... Thin and fast legs. Nose: Beautiful sweet and sugary funk: Rubber bands, brand new marley floor rolls and latex baloons. Brown sugar, molasses and spoiled baby bananas. Dark gardening soil, fertilizer and wild mushrooms. A few drops of water add sweet and mineral aromas: sweetened chamomile tea, pebbles and seltzer water. It is more accessible and freshened up now. 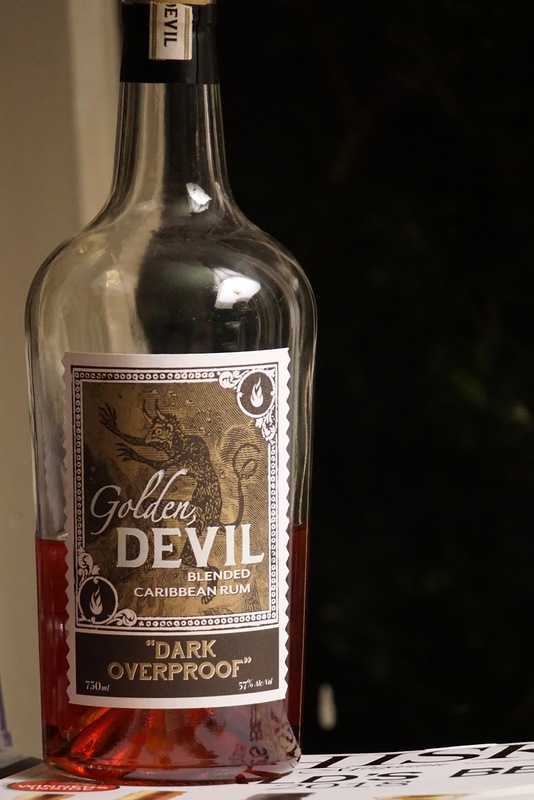 Palate: It is calmer on the palate, even at 57% abv. Funk is still there but not nearly as pungent as it was on the nose. Cooked mushrooms, blood orange slices and clementines. Sweet, citrusy, earthy and tart. Water pushes up the sweetness the most; burnt sugar, nutmeg and cinnamon. Cardamom coffee and chewy ginger molasses cookies. Finish: Medium long with burnt sugar, nutmeg and ginger.